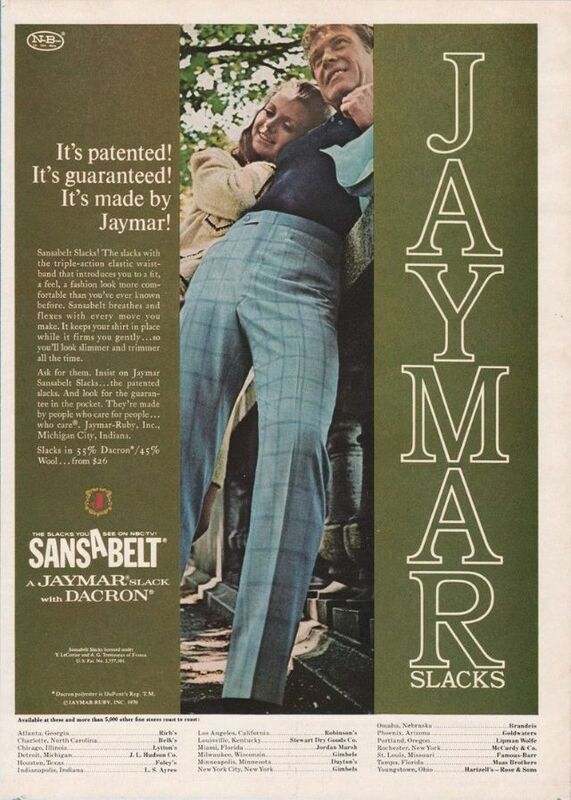 No suspenders or belt required - this thin band of elastic was all you needed. 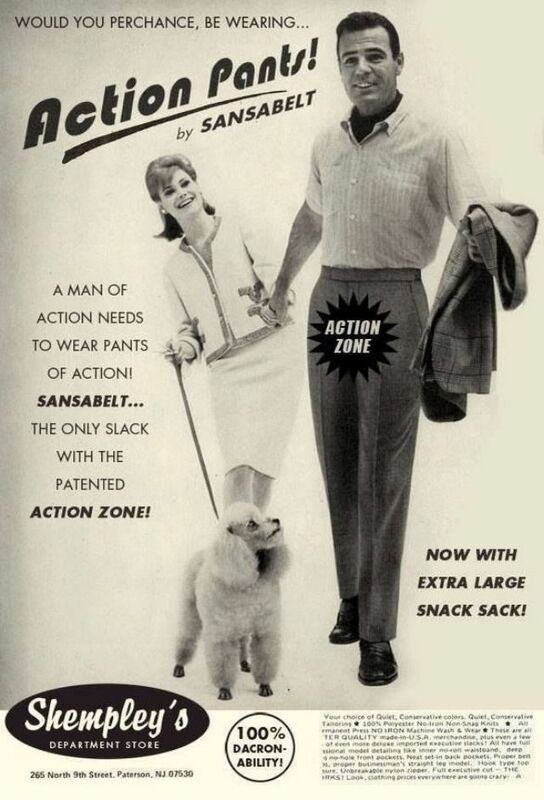 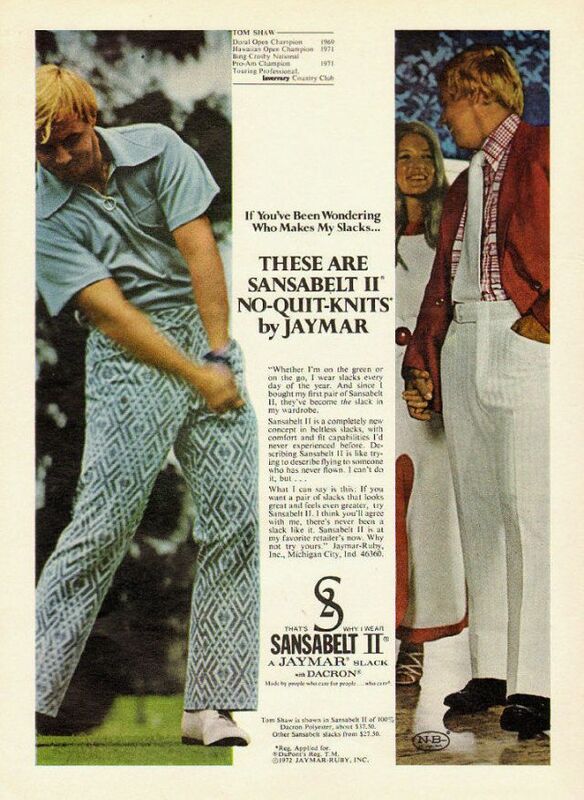 Sansabelt is a brand of men's trousers. 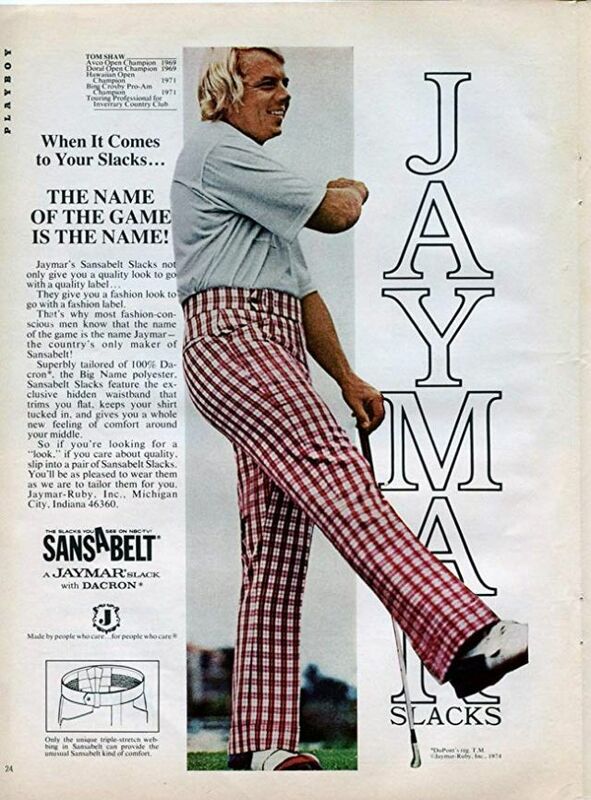 The trousers have a wide webbed elastic band sewn into the waist, which is intended to make a belt or suspenders unnecessary, hence the name (sans a belt). 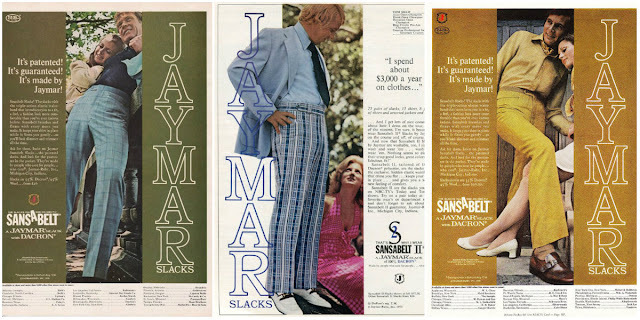 The Sansabelt slack was invented by Edward Singer of Silver Manufacturer Company, located in East Chicago, Indiana, which subsequently sold the company and their patent to Jaymar-Ruby, an Indiana-based clothing company, in 1959. 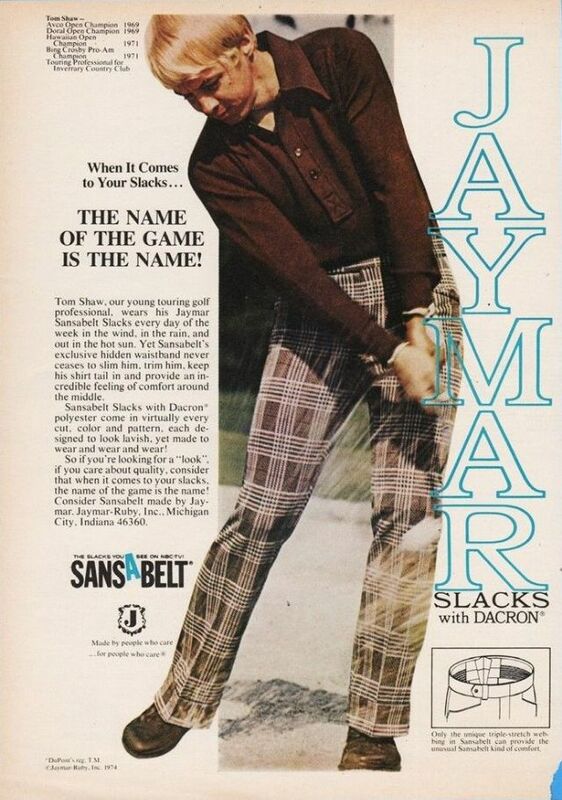 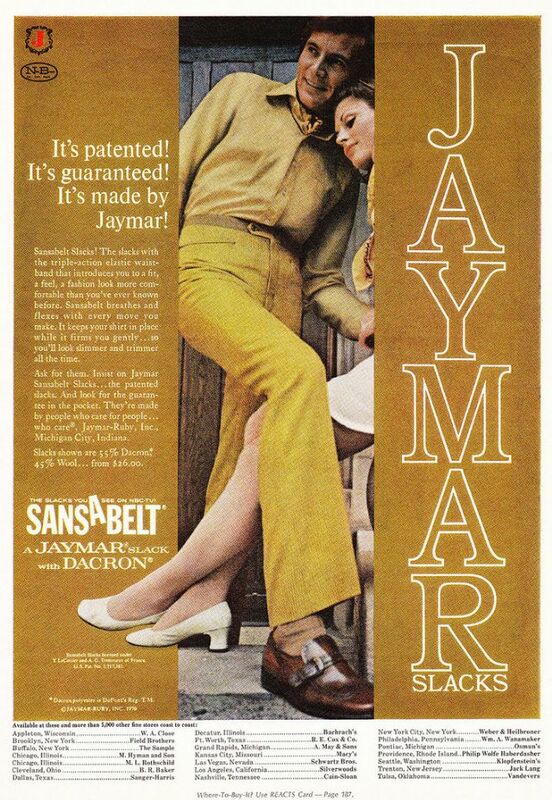 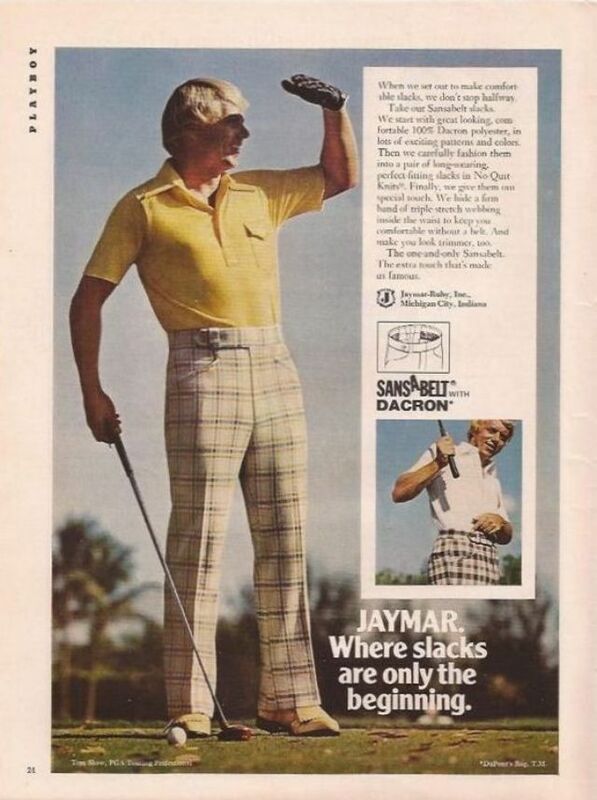 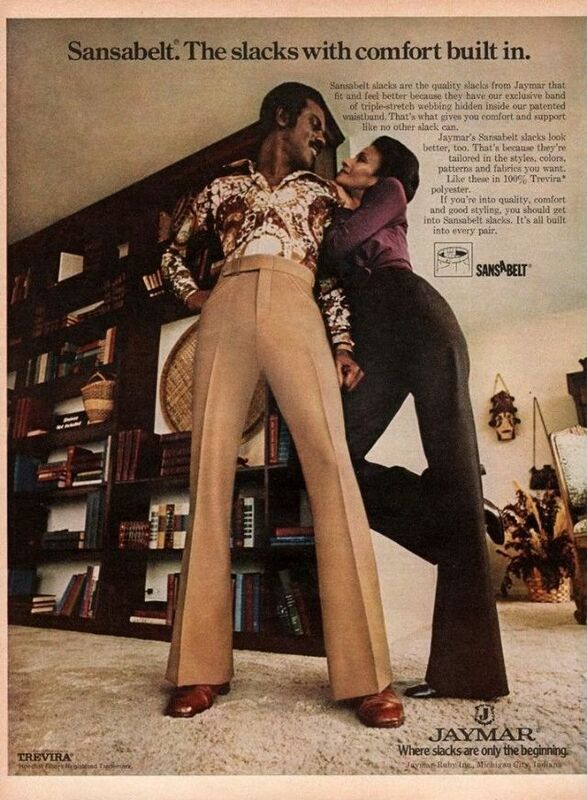 Jaymar-Ruby's Sansabelt brand was acquired by Hartmarx in 1967 and the last sansabelt pants were produced in the early 90's. 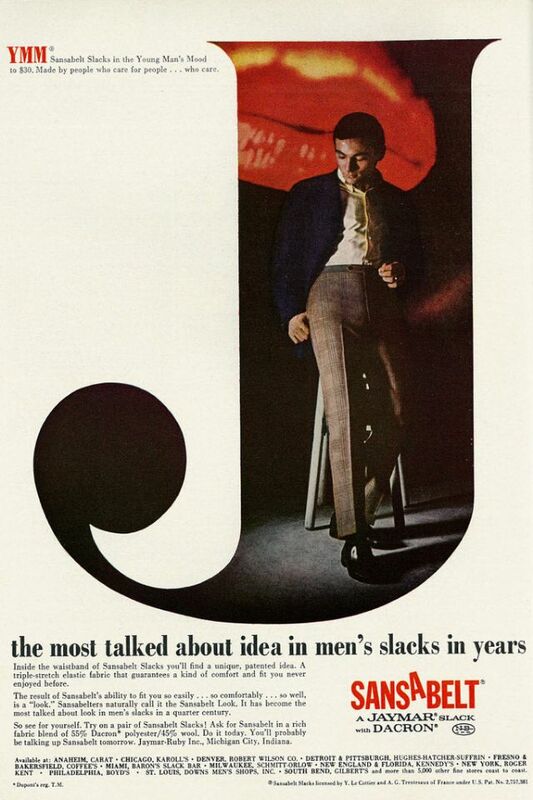 On 24 January 2009, Hartmarx Corporation filed for Chapter 11 bankruptcy. 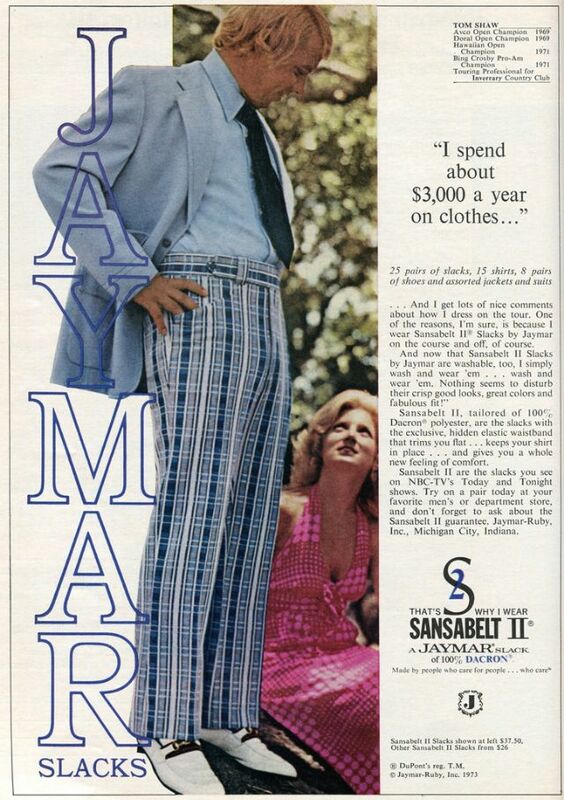 Peter Schwadel, President of MPS & Partners, Inc., purchased the license to Sansabelt in February 2013. 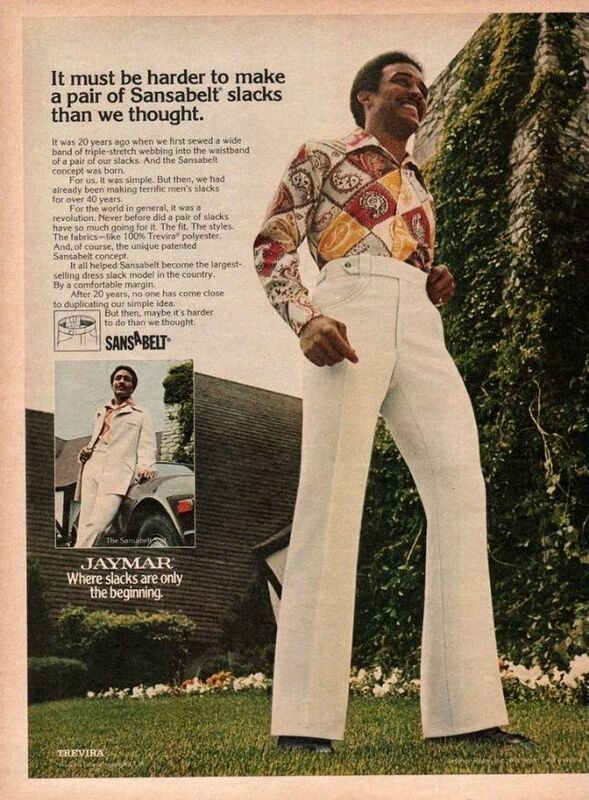 On the American television Good Eats episode “Ear Apparent,” when making creamed corn, host Alton Brown remarks “Back before the days when I started seriously eyeing the Sansabelt pants rack, I used to put lots of cream in here. 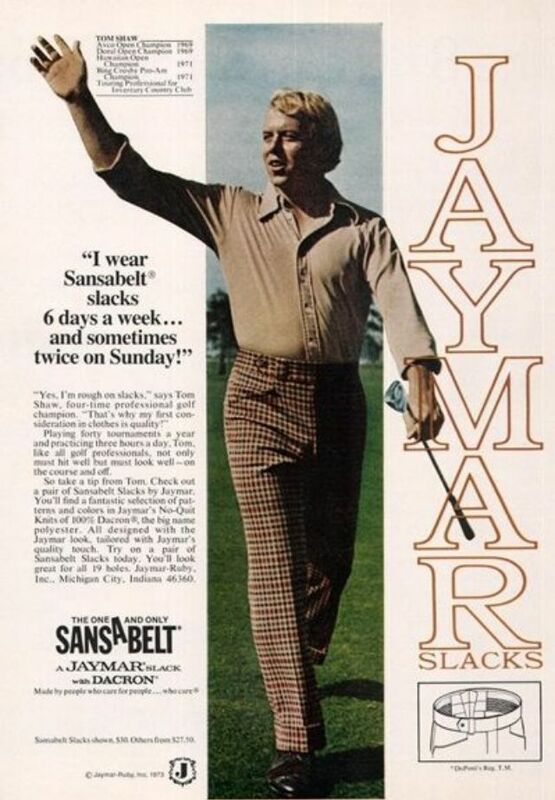 Sometimes a quart for one batch.” In episode “Mussel Bound” he says “But I gotta tell ya, I'm already Sansabelt challenged here, (...)” when explaining why he is not going to use butter or cream to thicken a sauce.